The stunning white finish and bold Black Granite top of the Bosconi Contemporary Double Vanity will bring a sense of luxury to your personal space. 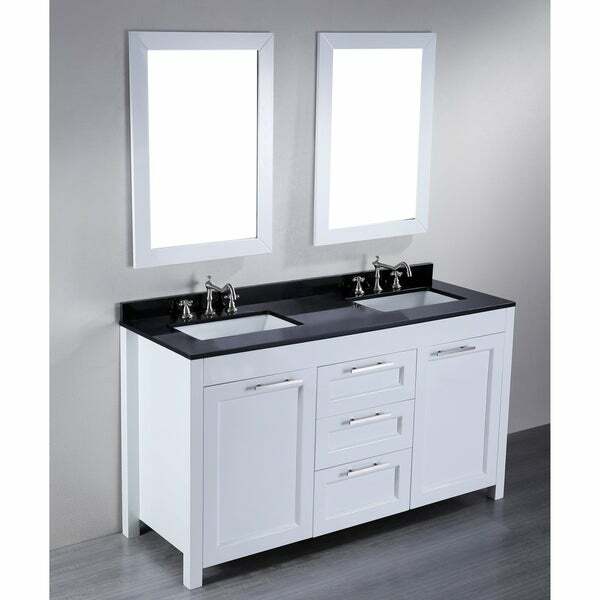 Two spacious cabinets and three drawers supply ample space for your essential bathroom needs and two complimentry vertical mirrors complete the contemporary look. Dimensions 21.1 In. X 60.2 In. X 33.6 In. 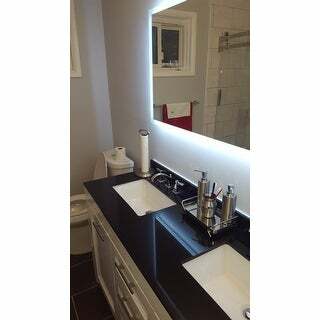 This is a beautiful vanity! I love the double sinks. Its easy to clean. The granite counter top is wonderful. 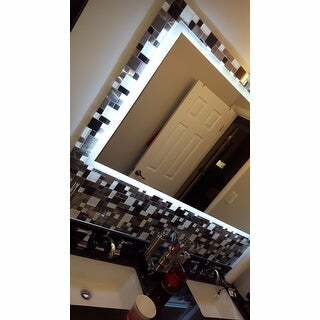 It even comes with 2 mirrors..I didn't use them tho..i paired the vanity with the Rectangular Backlit Large LED Mirror and it looks soooo spa like. 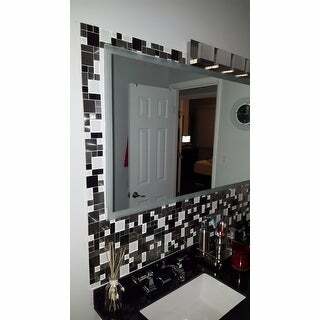 "Are the white ceramic undermount sinks included with this vanity??" Yes, the sinks are included.